You know, sometimes you play one of those gigs that is just really fun. That seems to happen pretty much every time I play with Steve Wilson. On Saturday I played trio at the cozy Shanghai Jazz with Steve and bassist, Gregory Ryan (who I work with A LOT at my regular Hillstone spot in NYC). My face still hurts from smiling my way through the whole gig. 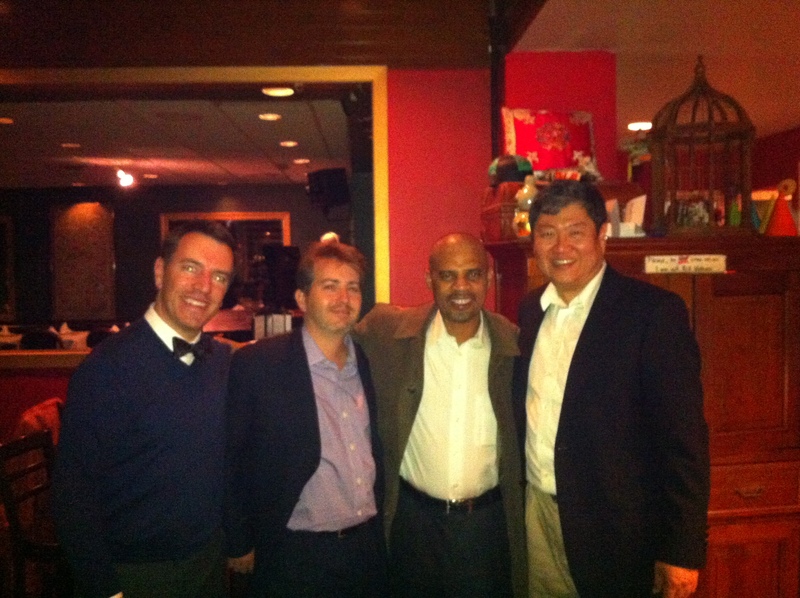 Here we are posing with owner David Niu after a night of music.